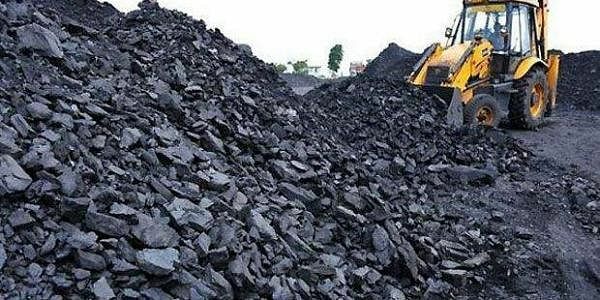 NEW DELHI: The coal block allocation scam unearthed during the previous UPA government today claimed the first set of casualty among public servants, with the conviction of a former and two serving bureaucrats by a Delhi Court. H C Gupta, who was the Coal Secretary from December 31, 2005 to November 2008, then joint secretary K S Kropha and then director K C Samaria in the Ministry of Coal, were today held guilty in a case relating to irregularities in the allocation of Thesgora-B Rudrapuri coal block in Madhya Pradesh to Kamal Sponge Steel and Power Ltd (KSSPL). Till now, three cases have been decided with the first conviction order passed on March 28, 2016 in a case pertaining to irregularities in allotment of a coal block in Jharkhand to a firm Jharkhand Ispat Pvt Ltd (JIPL) whose two directors R S Rungta and R C Rungta were awarded four year jail term. Today's decision by Special CBI Judge Bharat Parashar, who was appointed exclusively to deal with the coal scam cases, was the third. The proceedings in the case against Singh was stayed by the Supreme Court on April 1, 2015 after he moved it opposing the order of the special court which had on March 11, 2015 summoned him and others, including the then Coal Secretary P C Parakh and industrialist Kumar Mangalam Birla as accused. The two other officials of the Aditya Birla Group -- Shubhendu Amitabh (since left) and D Bhattacharya -- were also accused in the case. One important case arising out of the scam related to the alleged involvement of Congress leader and industrialist Naveen Jindal in allocation of Amarkonda Murgadangal coal block in Jharkhand in which Gupta is also an accused. In another case pertaining to allocation of coal blocks to Vini Iron and Steel Udyog Ltd in Jharkhand's Rajhara town, also involving former Jharkhand Chief Minister Madhu Koda as accused, the court is currently hearing the final arguments. Gupta is also an accused in the allocation of coal block to AMR Iron and Steel Pvt Ltd which also involves former Minister of State for Coal Santosh Bagrodia and Rajya Sabha MP Vijay Darda as accused. The other case relating to irregularities in allocation of a Chhattisgarh-based coal block to SKS Ispat and Power Ltd also involves Kropha as accused. Gupta, Kropha and Samaria are facing trial in the case of alleged irregularities in the allotment of 'Mahuagarhi Coal Block' in Jharkhand to JAS Infrastructure Capital Pvt Ltd (JICPL). The three are also facing trial in another case involving M/s Navbharat Power Pvt Ltd (NPPL), now known as Brahmani Thermal Power Pvt Ltd (BTPPL). Another case filed against the three of them related to the allocation of Fatehpur (East) coal block in Chhattisgarh to accused firm JLD Yavatmal Pvt Ltd in which it had earlier rejected CBI's closure report. The three are also accused in a case pertaining to the alleged irregularities in allocation of Moira and Madhujore (North and South) coal blocks in West Bengal to Vikash Metals and Power Ltd.
Gupta and Kropha are further accused before the court in a case of alleged irregularities in allocation of a Chattisgarh coal block to SKS Ispat and Power Ltd and another case involving Grace Industries Ltd.